James Bond 007 is on the search for a Russian decoding machine, known as a Lektor. Bond needs to find this machine, before the evil SPECTRE organization discovers it first. Whilst being romantically linked with Russian girl, Tatiana Romanova, Bond sneaks his way around Istanbul, whilst each SPECTRE agent tries to pick him off, including the over powering Donald 'Red' Grant and ex-KGB agent Rosa Klebb who knows all the tricks in the books and even possesses an incredible poison tipped shoe! Sean Connery said that this movie was his personal favorite out of the Bond films he did. Written by Richard Maibaum (screenplay), Johanna Harwood (screenplay), Berkely Mather (screenplay), Ian Fleming (novel). 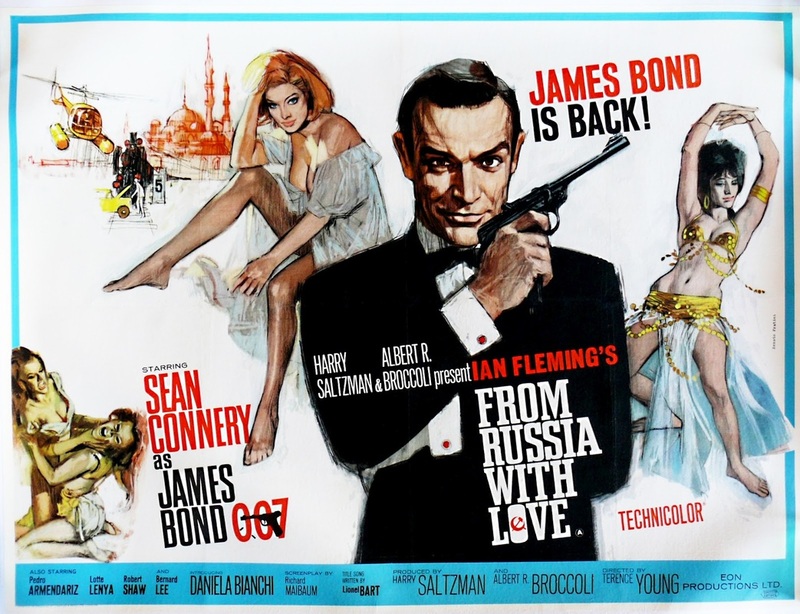 Title Song by Matt Monro "From Russia With Love"
"Twelve seconds. One of these days we must invent a faster-working venom"